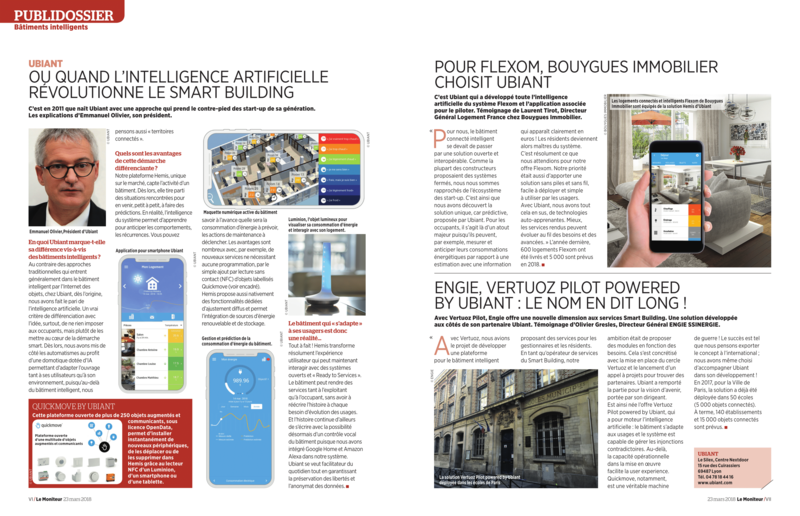 Ubiant wins the Grand Prix from the National Academy of Technologies of France in the SME category for sustainable, intelligent and low-carbon buildings. 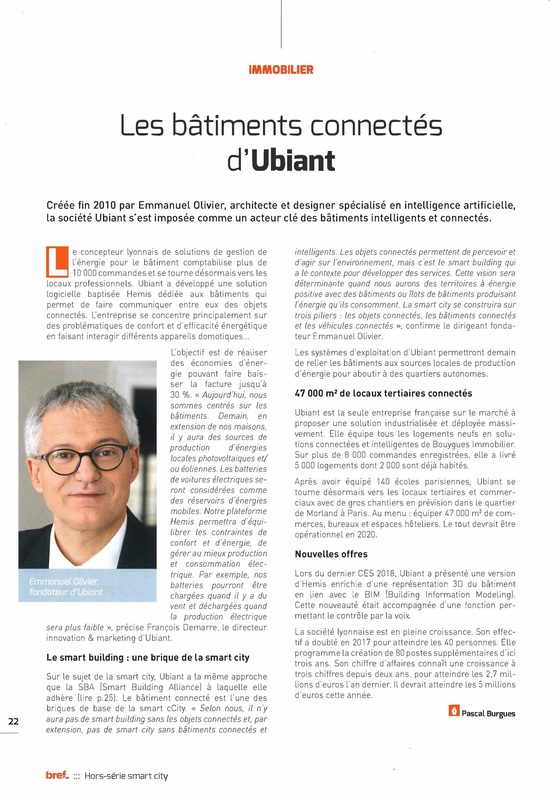 When Ubiant’s artificial intelligence revolutionizes smart buildings. Bouygues Immobilier and Engie have chosen Ubiant.